In response to the growth of technology’s role in the lives and careers of Canadians, some school boards in Ontario have agreed to allow a program into their elementary and high schools giving students the opportunity to develop computer-related skills. The program, TechU.me, is an initiative led by the Ottawa Network for Education. Its mentor program began in Jan. 2012 with four schools and has since grown to 55, all within the Ottawa region. The program involves industry professionals visiting computer science or communication technology classes at a high school once a week for an entire semester, acting as a mentor to students. Students work for the semester on a mobile app, which they are developing for an elementary school class that they have been paired with. As such, they are given the opportunity to be mentored and to become a mentor themselves. “It’s really a deep dive because it’s not just a drop into an industry for a day and go back to school – it’s part of their regular curriculum and it lasts the whole semester,” explained Evraire. 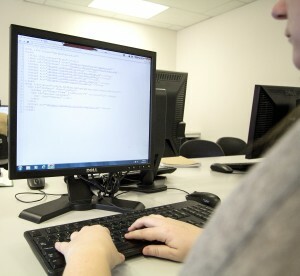 In addition to developing programming and computer interface design skills, Evraire said students are also developing soft skills like teamwork and collaboration, how to listen to clients and respect deadlines. Evraire explained that in his time as a teacher he noticed a slow decline in enrolment in computer science courses. Carla Kirby, a teacher at AY Jackson Secondary School in Ottawa, is currently in her fourth semester working with TechU.me. “They no longer believe that these programmers sit in front of a computer all day and that’s all they do,” said Kirby of what the program has taught her students. This, she continued, makes the jobs more appealing to them and helps them see the possibilities a job in the technology industry could lead into. The program has also made her students more invested in their work because they have elementary students relying on them to complete their apps. “There’s a lot more ownership on it to the students. It’s not me fighting to get assignments in from the kids,” she said. Through the program, Kirby’s students have been able to use Blackberry tablets and new versions of programs the school would be unable to afford otherwise. The mentor program is now in Waterloo as a pilot project. Karen Klink, the executive director of the Business and Education Partnership in Waterloo, has been working with TechU.me on the pilot which has been rebranded as Apps4Learning. It began in February and will be finishing up this June. Whether or not the program will continue in the fall is up to funding, Klink explained. Their funding for the pilot didn’t come through, but the two school boards in the region decided to foot the bill regardless. “There’s 21 area high schools in the region – I would really love to see this in all [of them],” she said. Beyond expanding to Waterloo, Evraire said he’s also been contacted about bringing the program to Edmonton. Despite the possibility of having the program or initiatives like it nationwide, Evraire explained the difficulties of this as the federal government doesn’t have jurisdiction over education. “But it is something that is really growing as a demand,” he continued. Jonathan Grover, founder of iNotForProfit, has been mentoring at Saint David’s high school as part of the Apps4Learning program. Grover said that hands-on learning is very important to him.